You may need to cut back or change medications. Just because a drug worked well for you in the past doesn’t mean it will continue to do so. If you have questions about this, one of our pharmacists can go over your list of medications and see how they are working for you. Also, be sure to check in at least once a year with your doctor about your diabetes medications. Never stop or change your medications without first talking it over with your doctor. 1.HealthDay: Half of U.S. Adults Have Diabetes or High Risk of Getting It: Report. Available at:https://www.nlm.nih.gov/medlineplus/news/fullstory_154517.htmlAccessed 11-3-15. 2.Mayo Clinic: “Complications.” Available at:http://www.mayoclinic.org/diseases-conditions/diabetes/basics/complications/con-20033091. Accessed 11-5-15. 3.HealthDay: Tight Control of Type 2 Diabetes May Help Prevent Dementia. Available at:https://www.nlm.nih.gov/medlineplus/news/fullstory_154639.htmlAccessed 11-3-15. 4.HealthDay: Diabetes Takes a Toll on Women’s Hearts. Available at:https://www.nlm.nih.gov/medlineplus/news/fullstory_154609.htmlAccessed 11-3-15. 5.NIDDK: “What I need to know about Diabetes Medicines.” Available at:http://www.niddk.nih.gov/health-information/health-topics/Diabetes/diabetes-medicines/Pages/index.aspx#what Accessed 11-5-15. 6.Joslin Diabetes Center: “Oral Diabetes Medications Summary Chart.” Available at:http://www.joslin.org/info/oral_diabetes_medications_summary_chart.htmlAccessed 11-5-15. 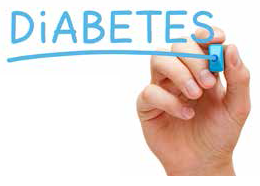 7.HealthDay: Too Many Seniors With Diabetes Are Overtreated, Study Suggests. Available athttps://www.nlm.nih.gov/medlineplus/news/fullstory_155428.html Accessed 11-3-15.